Small manufacturers push to revamp New York law that can lock them into deals with indifferent wholesalers. After Brooklyn Brewery entered a contract with an upstate wholesaler to distribute its beer outside of the city, its upstate sales steadily increased for a few years. But the wholesaler began adding more craft breweries to its portfolio, and the Brooklyn company saw its sales slip, even as its wholesaler’s overall sales grew. When the brewery tried to terminate its contract, the wholesaler sued under New York’s alcoholic beverage control law—which binds brewers to one distributor within a marketing region once an agreement is in place—Brooklyn Brewery shelled out more than $200,000 in legal fees and had to pay the wholesaler an undisclosed sum to get the divorce it wanted. Brooklyn Brewery survived, but its president, Steve Hindy, said most small breweries in New York cannot afford the litigation required to dump a neglectful distributor. “That kind of money would sink them,” he said. Many of New York’s signature beer makers allege that wholesalers, protected by the obscure statute, often get away with failing to actively support or sell products. This, the brewers say, is an unfair practice and hampers their ability to grow their businesses. They are lobbying to change the law. The Assembly has passed a bill that would allow a small brewer to drop its wholesaler, provided that the brewer’s products account for less than 3% of the wholesaler’s business. In turn, the brewer would have to pay fair market value for the wholesaler’s loss of distribution rights. At a time when craft and microbrew beers make up the fastest-growing segments of the beer market, both in New York and nationwide, each side wants to capitalize on the action. More than 1,500 small or craft breweries now operate around the country, according to the Brewers Association, an industry trade group. In New York, the number of small breweries has more than tripled in the past 15 years, to 63, according to the New York State Brewers Association. Preliminary statistics for 2010 show that while mainstream beer sales declined nationally by about 2%, sales for craft beer shot up almost 10%. Makers say they need a new law to give them a way to escape from underperforming distributors. Distributors, meanwhile, contend that a revamped law would destroy their businesses and cost the state hundreds of jobs. That argument was successful in 2008, when Gov. David Paterson vetoed a nearly identical bill. With Andrew Cuomo now in the governor’s office, brewers have a renewed chance to make their case, and they’re optimistic that they can push the measure into law. 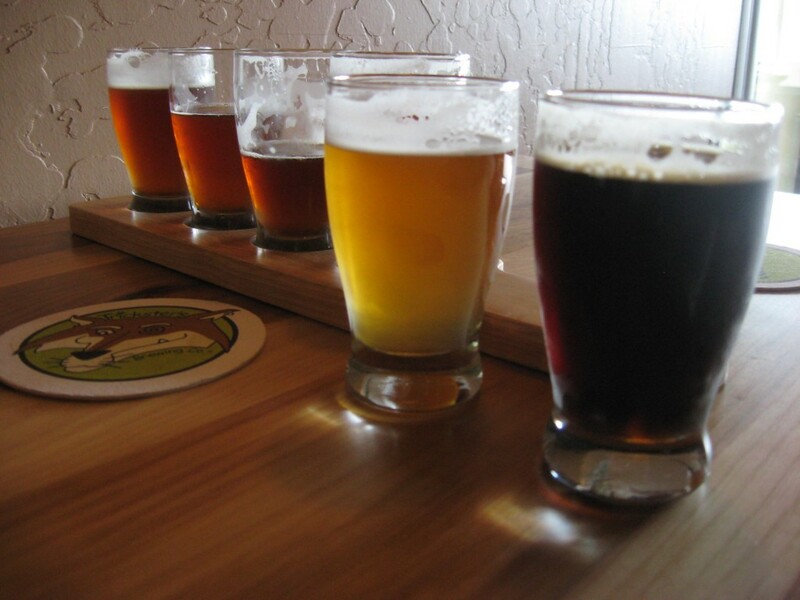 Friction between small brewers and wholesalers is commonplace. Captain Lawrence Brewing Co., Ithaca Beer Co., and Southampton Ales and Lagers, three other small breweries in New York state, have all clashed with distributors recently. “There are countless stories,” said Nick Matt, CEO of Matt Brewing Co. in Utica, who has worked closely with lawmakers in Albany on the bill. As craft beer continues to grow in popularity, there will be even more skirmishes, Mr. Matt predicts. Wholesalers have the upper hand, because the state’s beer franchise law makes it the brewer’s responsibility to provide “good cause” in any contractual dispute. And proving good cause in a court of law is so costly as to be prohibitive. When the law was enacted in 1996, large, multinational brewers, such as Anheuser-Busch, dominated the beer market, and just a few brewers accounted for most of a wholesaler’s portfolio of brands. The measure was designed to prevent these big brewers from arbitrarily canceling a contract with a wholesaler, which could cripple the distributor’s business. “But the landscape has changed dramatically,” said Mr. Matt. Since the law passed, the number of wholesalers has dropped from more than 100 to fewer than 60, mostly through consolidation. The tables have turned, and the brewers are now seeking protection from increasingly powerful wholesalers. Proponents of the new bill believe that it will allow for a more efficient and competitive industry for craft beers. “Right now, distributors are able to decide the markets for these beers,” said state Sen. Joseph Griffo, a Republican from Oneida who is sponsoring a Senate bill identical to the one that the Assembly passed. “This will give these smaller beer makers greater discretion” in choosing distributors. But Robert Bishop, a lobbyist who represents Union Beer Distributors, said the bill will damage his client, which has spent the past decade building a craft beer portfolio of more than 150 brands. Brooklyn-based Union is also the distributor for Anheuser-Busch in the New York metropolitan area. “They have always had, first and foremost, a commitment to small brewers,” Mr. Bishop said. Mr. Matt, the brewer, simply doesn’t buy it.